Our aerial imagery services have a measurable and proven impact on our customers' business needs. My sales team works on an individual level with each of our clients to ensure their experiences are as seamless as possible, and over time we've begun to understand the most common experiences during the customer journey through our aerial imagery services. We want to share those learnings with you. Below, we've compiled a few of our most helpful tips to ensure that our existing and potential customers' experiences with us are nothing less than outstanding. When submitting a property to us, please take the surrounding area into account. There might be trees, signage, or other obstructions that could limit preferred shots, and the more context we have about potential blockages up-front, the more prepared our aerial imagery services pilot will be to capture the shots you need! We are committed to doing the absolute best we can to avoid any obstructions and get the angles you need. We offer a variety of aerial imagery services packages tailored to suit different business needs. Each package has different offerings, depending on how you would like to show case the property and your production capabilities. We offer everything from normal aerial imagery services to custom production videos via our in-house team, and the price points vary depending on how much information you want to share about each property. Be sure to click on the 'example' link on each package to see what the final assets would look like. We appreciate your flexibility! We are able to dispatch our aerial imagery services pilots anywhere in the country within 48-72 hours. If there is a specific date/time you would like us to be onsite, let us know as soon as possible and we will do the absolute best we can to accommodate it. Use the Quick Order function on your dashboard to place any order instantly. You will be able to outline the property boundary and include any special notes needed. Please include any custom items you would like us to take into consideration for the flight, and we're ready to fly your mission! I hope you'll find these tips valuable. If you're interested in learning more or creating an aerial imagery services order for your business, contact us today! 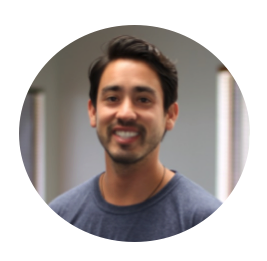 Jose Giraldo is a drone enthusiast and Head of Sales @ DroneBase.